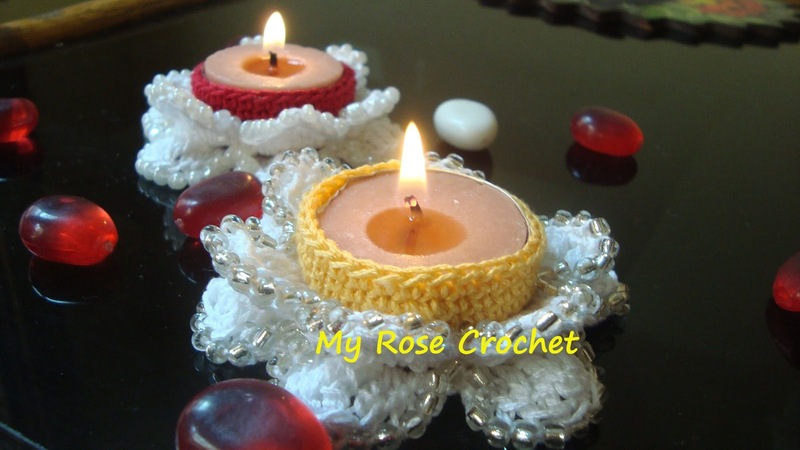 Beautiful beaded lotus candle holder for a special occasion. 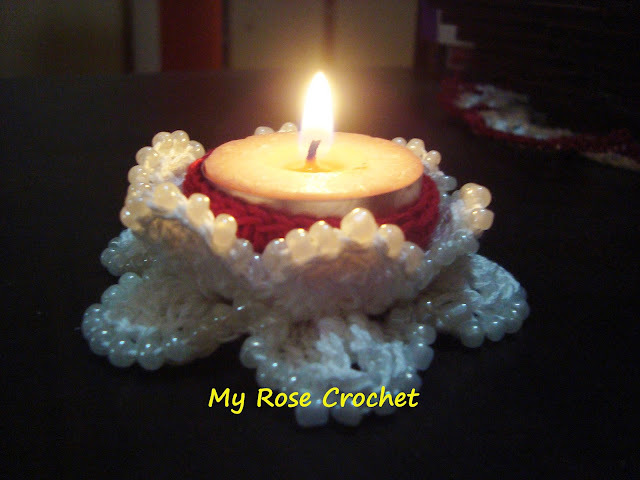 when lighted the beads reflect the light and create a magical surrounding. Also perfect for gifting. 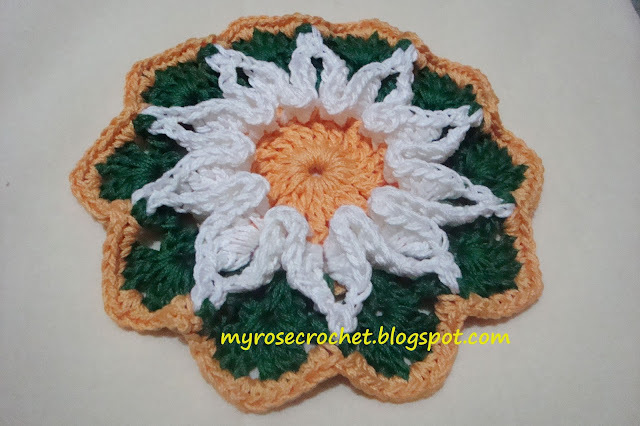 This Pattern is in photo-tutorial for advanced beginner. 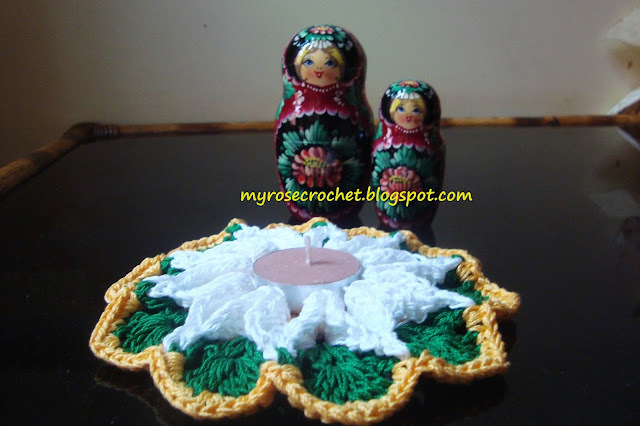 Beads are crocheted no sewing.Pattern is written in English, using US crochet terminology. Size of this holder is 3.5". A beautiful doily candle holder to decorate home.The 3-dimentional Lily flower is the main attraction.Flower surrounded by green leaves really looks good.All ten petals of the flower make a space in middle to hold a T-light candle. 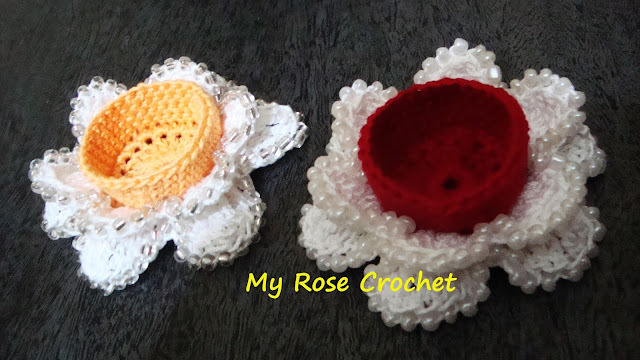 I used two strands of 3ply cotton thread and 3.5mm hook. A intermediate project. 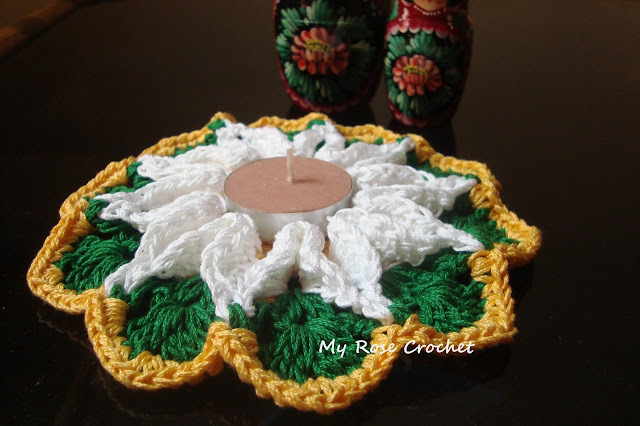 Stitches like chain,single crochet,double crochet and treble are used. 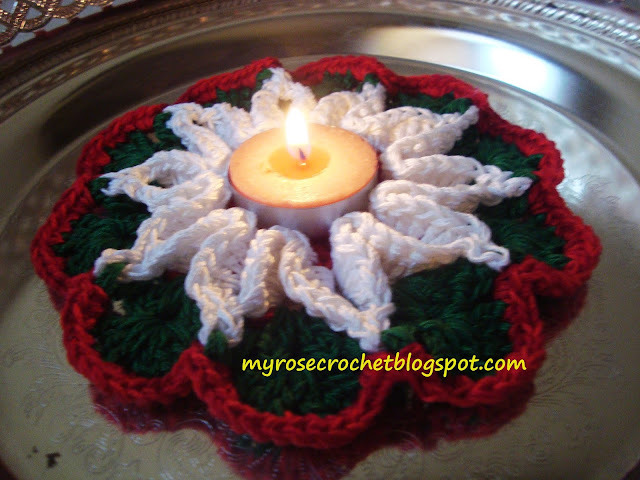 Always keep an eye on lighted candle for safety.